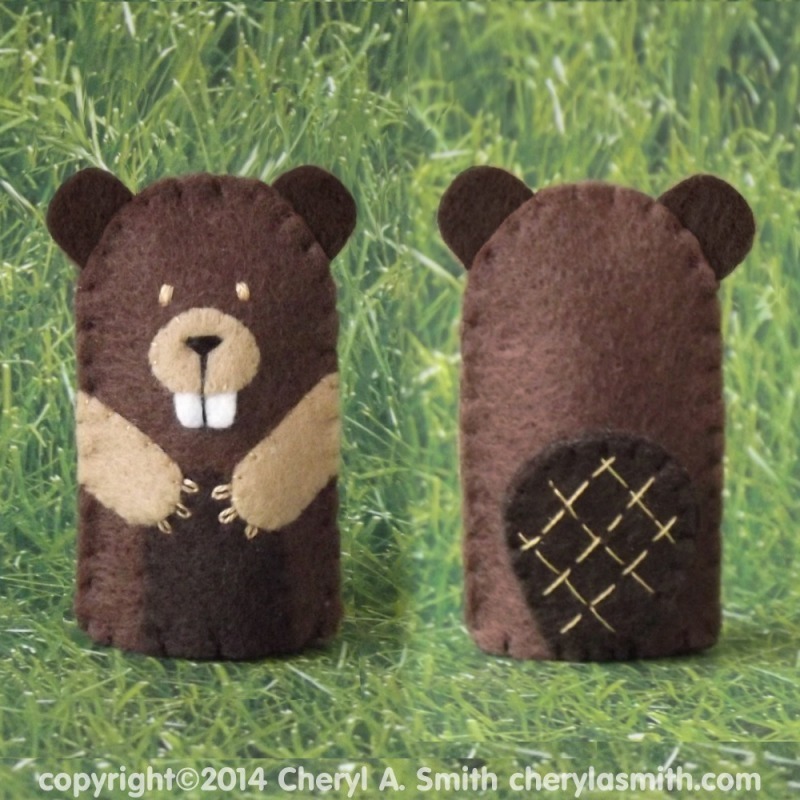 This little brown beaver is stitched from 2 shades of brown felt with tan colored accents. He has big buck teeth and a big flat tail with embroidered detailing. 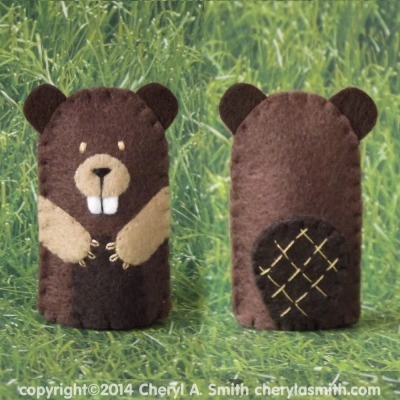 Each little beaver finger puppet is an individual - so facial expressions and stitching may vary slightly from photo.